Batman’s motorcycle in The Dark Knight Rises was cool and all, but the BMW Titan concept actually looks like a better fit for the caped crusader (albeit lacking in weaponry.) Turkish designer Mehmet Erdem actually took inspiration for the Titan from the sleek profile of a shark, with fins along the sides, a front wheel hidden within the body, and an exposed back wheel echoing the shape of a tail. 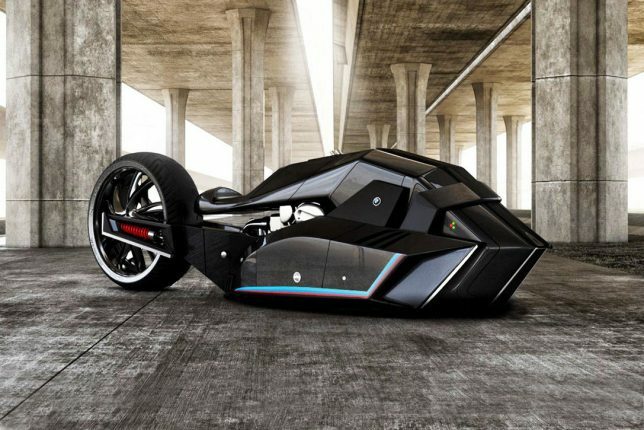 The design is envisioned as a competitive vehicle for ‘Speed Week’ at the Bonneville Salt Flats in Utah, in which land speed racers show off just how fast their racing vehicles of all shapes and sizes can go. The pale, glittering natural surfaces of the flats offer a dramatic setting for annual races and has seen a number of records set, with some vehicles reaching top speeds of over 600 miles per hour. 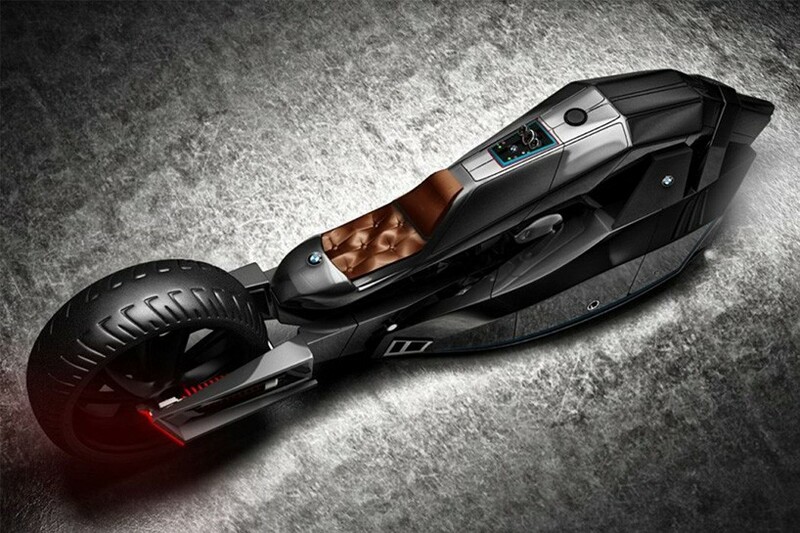 The Titan is one of seven BMW motorcycle concepts created by the Istanbul-based designer in addition to creations inspired by Alpha Romeo, Mercedes Benz, Maserati and other automotive brands. Each one reflects the aesthetics of the brand, but elevating them to a place that’s bolder and more futuristic.